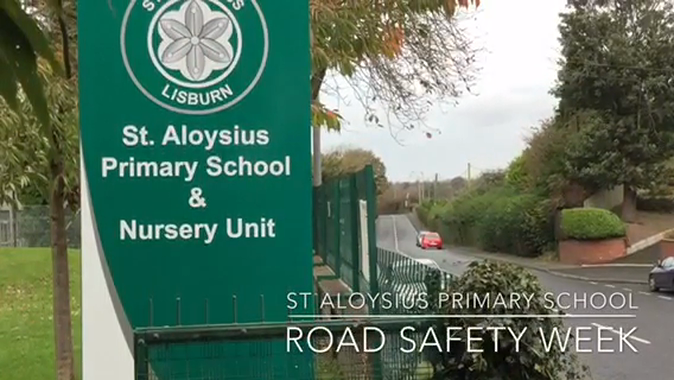 Due to our location on the busy Ballinderry Road we are always concerned with Road Safety. St. Aloysius P.S. 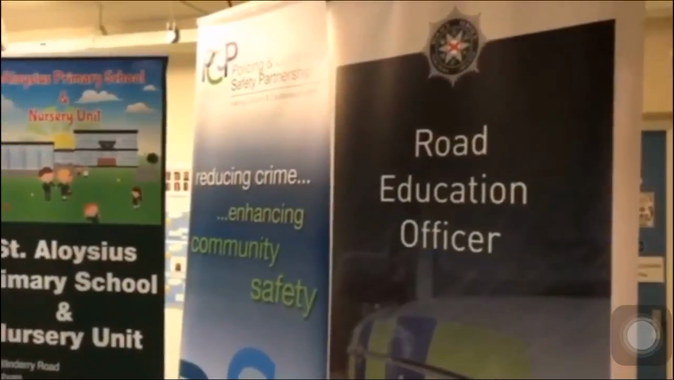 along with the PSNI pioneered a new speed awareness scheme in Northern Ireland- Kids Court. The idea it to make drivers aware that our school sits on a road with a speed limit of 30mph. Drivers who fail to respect this limit are asked to sit before a panel of pupils who highlight the dangers of their actions. Otherwise drivers are awarded penalty points. Kid's Court... Q Radio Article! Please read the article written about our school by Q Radio. Our Primary 7 children took part in a Kid's Court for Road Safety Week.